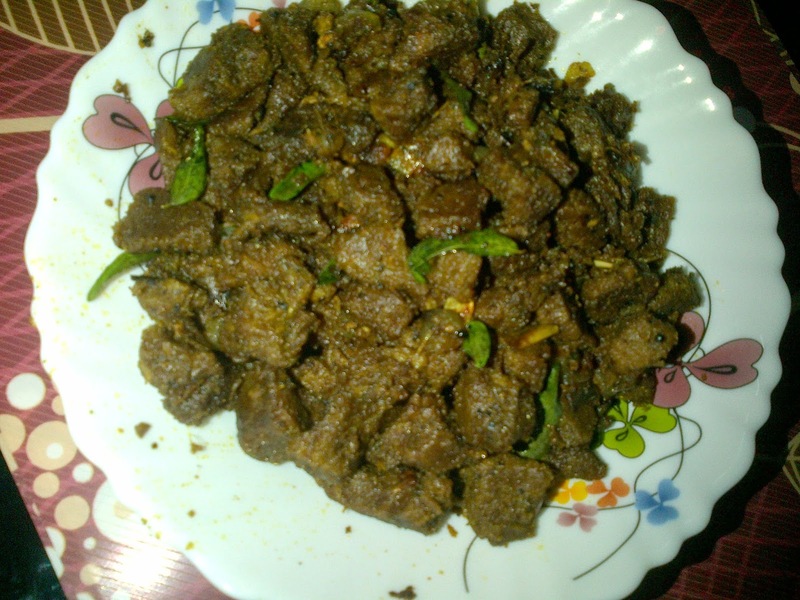 Marinate the cleaned beef pieces by adding salt, turmeric powder pepper powder, garam masala and lemon juice. Keep it aside for 15-20 mins. Add 2 tbsp of water to this & pressure cook till the beef is done(the cooking time of beef depends on the type of beef used). Keep the cooker closed for 20-25 mins. Open the cooker & if there is any excess water in the beef, cook till the water is dried completely. Heat oil in a heavy bottom pan splutter mustard seeds in it and add chopped shallots/Onions in it. Fry it for few seconds. Add the cooked beef. Give it a good stir. Cook on low flame . If the beef appears to dry in between, add a little oil & continue cooking. It will take around 10-15 mins.